An ‘urban fear’ grips the tenants of an inner city allotment when the long-predicted apocalypse finally arrives. Gardeners, of all levels of green-fingered ability and produce-preference, are afraid to venture onto their plots, especially late at night. And even then, when they can summon enough courage to so do, there is no safety in numbers. For the dead have risen from the depths beneath the cabbage patch, and the rows of sweet pea, hell bent on mischief, mayhem and consumption of the living. Only the nimble fingered “figurine war-gamer” Trevor, aka ‘Casimir the Destroyer’, and his best friend Graham, the knightly “Sir Brandt”, stand between the devilish hordes of undead and the salvation of mankind – well at least in their alter-ego fantasies they do. Until, of course, one dark night as they look beyond the confines of Trevor’s little wooden shed, they discover that the world has truly fallen into the hands of the undead – particularly Trevor’s allotment tenant neighbours. Now Trevor must venture into the unknown to save his wife, Bobbi, and her ‘capricious’ friend Harriet, from a world gone to chaos. And in so doing, become the hero he has always fantasised he was. 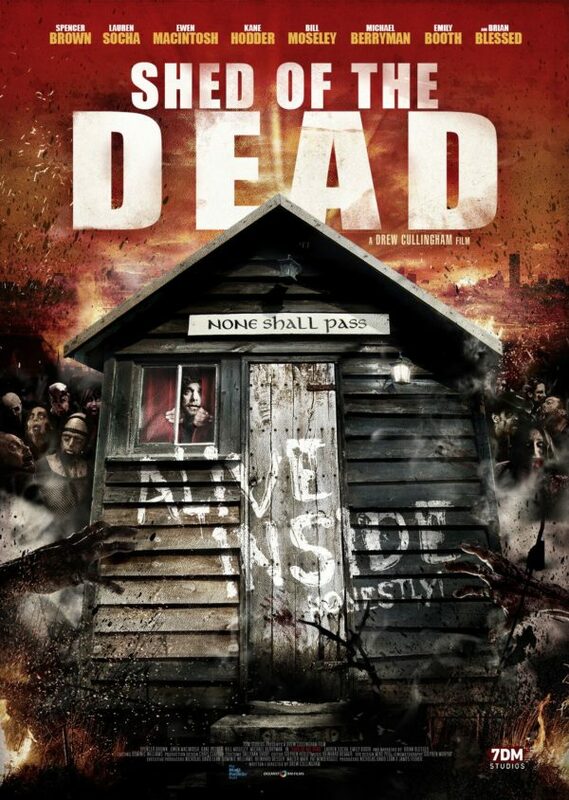 Shed of the Dead will premiere at Sci-Fi-London on May 18th and is set for a digital release on May 20th.